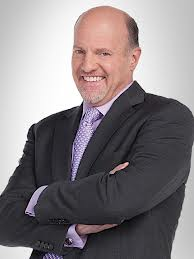 Host of CNBCs “Mad Money” and co-host of “Squawk on the Street,” Jim Cramer appeared as a guest last week on Frank Curzio's S&A Investor Radio podcast, produced and distributed on The Stansberry Radio Network. “Cramer does not do many interviews outside the NBC network. You will probably never hear him on any other financial podcast. But you get to listen to the real Cramer – uncut, calm, humble, and brilliant – in this interview,” said Curzio. S&A Investor Radio is an independent financial research podcast that focuses on investing, economics, and current events. Hosted by Frank Curzio, S&A Investor Radio features guest interviews with some of the smartest people on Wall Street, including investors, bankers and financial journalists. Recognized as an expert in the small cap sector, Frank keeps his listeners updated with all the latest financial trends and helping them to make smarter investment decisions every Thursday afternoon. Host of "Mad Money w/ Jim Cramer" & Co-Anchor CNBC’s "Squawk on the Street"
Jim Cramer believes there is always a bull market somewhere, and he wants to help you find it. He is host of CNBC's "Mad Money," (M-F: 6 p.m., 11 p.m. ET) featuring lively guest interviews, viewer calls and most important, the unmatched, fiery opinions of Cramer himself. He serves as the viewer's personal guide through the confusing jungle of Wall Street investing—navigating through both opportunities and pitfalls with one goal in mind—to help them make money. Cramer is also co-anchor of the 9 a.m. ET hour of CNBC's "Squawk on the Street" (M-F: 9 a.m.-12 p.m. ET) and the founder of TheStreet, a multimedia provider of financial commentary. In December 2013, he published the book, "Jim Cramer's Get Rich Carefully," in which he creates a guide to high-yield, low-risk investing. Cramer is also the author of "Jim Cramer's Getting Back to Even," "Stay Mad for Life: Get Rich, Stay Rich," "Mad Money: Watch TV, Get Rich," "Jim Cramer's RealMoney" and "Confessions of a Street Addict." 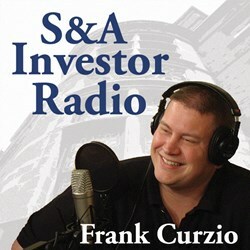 Frank Curzio is one of America's most recognized experts in the small cap sector. He is the voice behind S&A Investor Radio, as well as the editor of S&A’s Small Stock Specialist, and the exclusive emerging technology micro-cap advisory, Phase 1 Investor. Before joining Stansberry, Frank lived and worked in New York City writing for TheStreet.com. He is still mentioned numerous times on Jim Cramer's Mad Money, and has been a guest on Fox Business News, Stansberry Radio, and CNBC's The Kudlow Report and The Call.